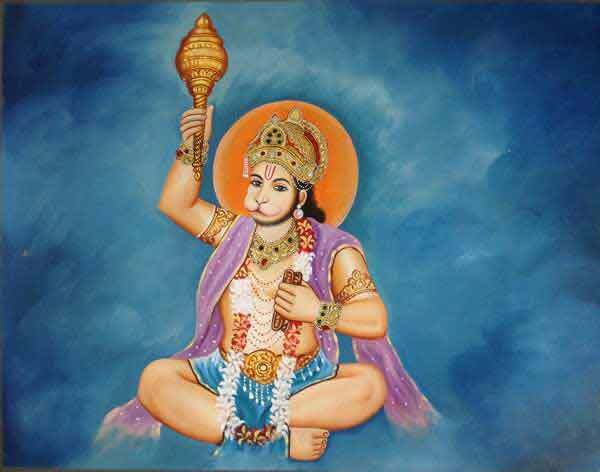 Hanuman Jayanthi Fasting – How to observe Hanuman Jayanti Fast? Hanuman Jayanthi is the birthday of Hindu God Hanuman and is observed on the Purnima or full moon day in Chaitra month (March – April). Some people observe Hanuman Jayanthi Fasting or Vrat on the previous day of actual Jayanti day – this is most popular in Maharashtra and western parts of India. In North India, Hanuman Jayanthi Fasting is observed on the actual Jayanti day. In 2019, Hanuman Jayanti is on April 18 for some communities. Others will be observing it on April 19, 2019, the Hanuman Jayanti day. Women can observe fasting on Hanuman Jayanti. There is no restriction on ladies performing fasting, puja and rituals dedicated to Hanuman. All those who stop girls from worshiping Hanuman and superstitious and they should not be listened to. How to Hanuman Jayanti Fasting? For those who are observing the Hanuman Jayanthi fasting at home, preparations begin early in the morning. After thoroughly cleaning the home and purifying the body (taking bath), idols or pictures of Hanuman are cleaned. Then they are smeared with Sindoor. A lamp is lit using jasmine oil and prayers are chanted. Next sweets and bananas are offered. Hanuman Chalisa is recited. The number of times it is repeated depends on the devotee. Prayers and pujas end with the recitation of Hanuman Aarati or Aarti Bajrangbali Ki. Most devotees fast on the day from sunrise to sunset. Feeding animals on the day earns merits equal to performing yajnas. Planting fruit bearing trees and taking care of them will cleanse sins of several births. Those observing partial fast eat fruits and drink milk. Some people opt for Sabudana Khichadi. The fast is ended in the evening after puja or visiting a nearby Hanuman temple. Some people end the fast only on the next day morning. Interestingly, most Hindu fast or upvaas is observed by women. But during Hanuman Jayanti, it is mostly men that fast, especially wrestlers and bodybuilders. But there is no restriction on women observing the Vrat. The Vrat is observed for peace and prosperity. Those observe Shani or other horoscope related troubles get relief after observing the Vrat.